Reasons to get mental health help now! Some emotional problems need immediate attention. There are some mental and emotional problems that shouldn’t be ignored. Sometimes people think that if they’d just wait, the problem will go away all on its own. Other people believe that by asking for help and let the problem get control of them. Unfortunately, many serious emotional problems get worse if they’re not attended to. When should you wait to see if the problem resolves itself? Which are the times that you need to take immediate action? Here is my list of the times when you shouldn’t wait to see if a mental or emotional problem will get better. If you or someone you know is having any of the problems listed below don’t wait, seek help immediately. National Suicide Prevention Lifeline at: 1-800-273-8255. Paranoia is defined as an unreasonable fear. When someone is becoming more and more afraid of situations or people around them they are at risk. Paranoid people may take actions that put themselves or others at risk. There are lots of reasons people might have hallucinations. Hallucinations are a lot more complicated than just hearing voices or seeing things. In another post, I wrote about other types of hallucinations. Hallucinations can be caused by a mental illness. They can also be caused by drugs, both street drugs, and prescription medications. Some other types of hallucinations may indicate a medical emergency. When someone is hearing voices or other sounds, seeing things, feeling things crawling on their skin, or having another perceptual distortion, there’s no time to lose in getting them help. Besides suicidal behavior, there are other types of Self-harm. Some people do self-injurious behavior, like cutting or burning themselves as a way to regulate emotions. The Self-harming behaviors can get out of hand. By Self-harm, I am not talking about everyone who does something dangerous or disturbing to their families. If someone is doing things to themselves with the clear intention of hurting themselves, they need help. Many people have episodes racing thoughts. Most of that time these turn out to be worry or excitement over upcoming events. But when someone begins to experienced racing thoughts on a recurring basis this needs to be looked at by a professional. Impulsive behavior that is out of character. Many people have times in their life when they do something impulsively. But if this impulsive behavior is dangerous, reckless, and completely out of character for that person, this is the time that they need help. Someone who develops a need to punish themselves is at risk. It’s not uncommon for someone to make a mistake and then continue to beat themselves up, at least mentally about that mistake. But if this self-punishment moves from being upset and reminding themselves not to do this act again, to active self-injurious self-punishing behavior, this person needs help. Sudden unexplained changes in sleep and appetite. Changes in sleep and changes in appetite are two of the diagnostic criteria for depressive disorders. 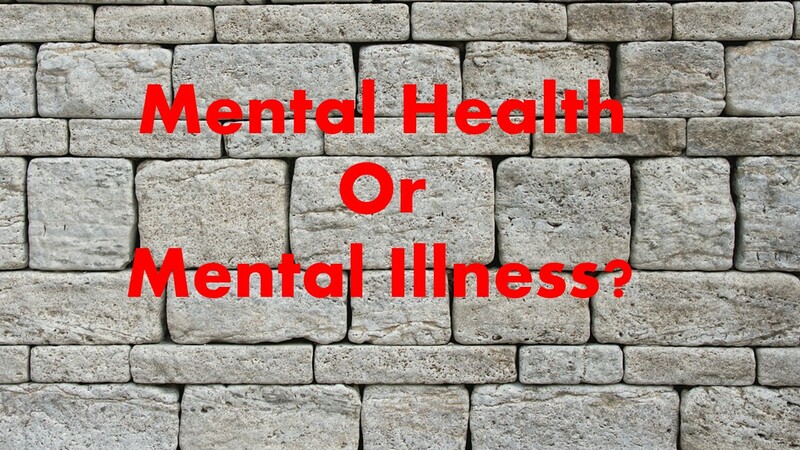 There can also be changes in sleep and or appetite in a number of other mental illnesses. But when someone suddenly develops unexplained changes in sleep or their appetite they need to seek professional assistance. A certain amount of fear or anxiety when you are in a risky or dangerous situation is normal. Many people experience overwhelming, uncontrollable fear and intense anxiety about the future. These kinds of fears or anxieties can interfere with people’s ability to live life. Anxiety disorders rarely go away on their own. Serious loss of motivation is likely to be a symptom of a developing or worsening mental illness. When someone loses their motivation it’s time to seek assistance. Extreme loss of pleasure, sometimes called anhedonia, is one of the symptoms of a serious depressive disorder. People who were unable to feel any happiness or pleasure are at higher risk to develop depression or another serious mental illness. This entry was posted in Mental Health, Paranoia and tagged anhedonia, extreme loss of pleasure, loss of motivation, mental crises, Paranoia, racing thoughts, self-harm, self-punishment, thoughts of suicide by David Joel Miller. Bookmark the permalink.